Nobody knows portables like Nomadic! We invented pop-up technology to save you time and money on storage, transportation, drayage and set-up. 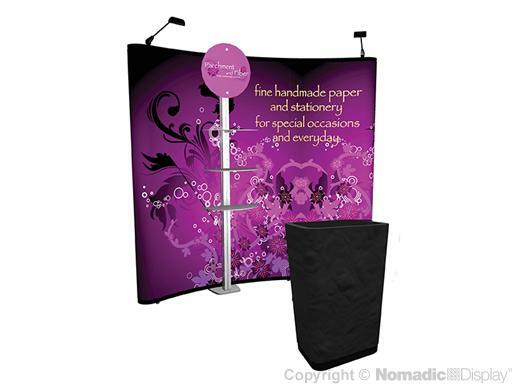 This Nomadic Instand® trade show display uses Mini Foundation to add layered graphic signage and shelving for product display to your vivid trade show graphics.